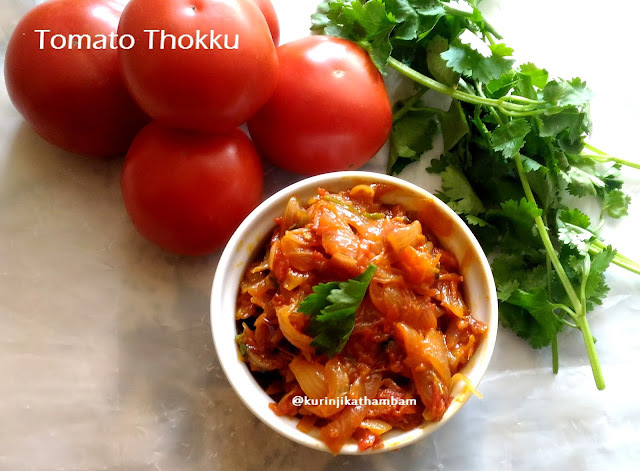 Tomato thokku is a very popular side dish across India. There are many variations sometime based on region. One of my friends suggested a variant with few ingredients not used regularly. The taste was so good that the thokku vanished in a moment when I served it to my family. 1. 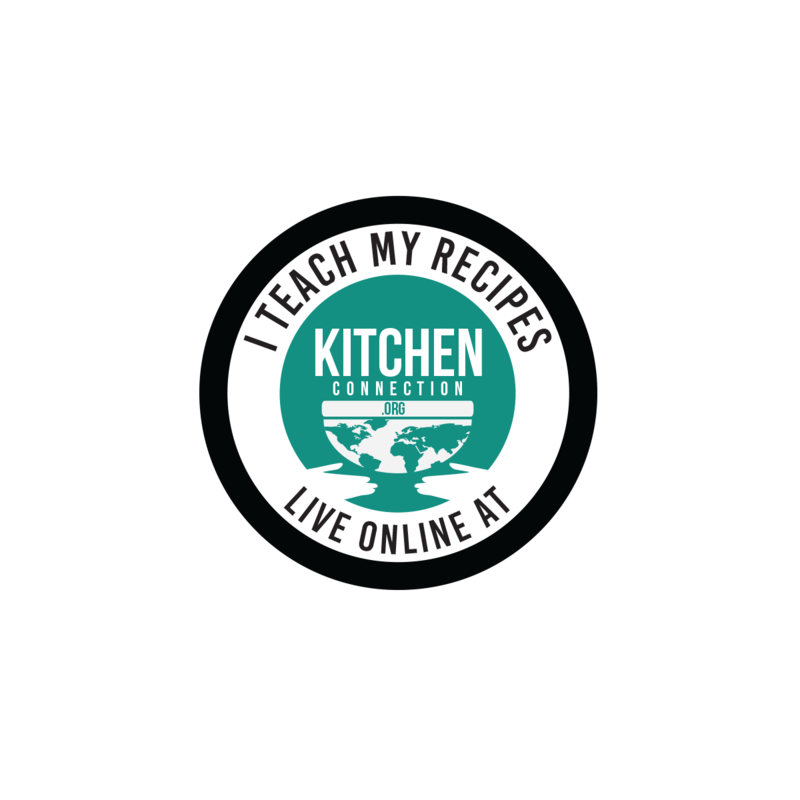 Remove the skin of the onion and cut them into thin slices. Keep it aside. 2. Wash and chop the tomatoes into small pieces. 3. Grind the chopped tomatoes into coarse paste using the mixie. Keep it aside. 4. Heat the oil in a heavy bottom pan. Add cinnamon and cloves. Leave it for few seconds. 5. Add chopped onion (from 1) and little bit salt. Sauté them well till the onion becomes translucent. 6. 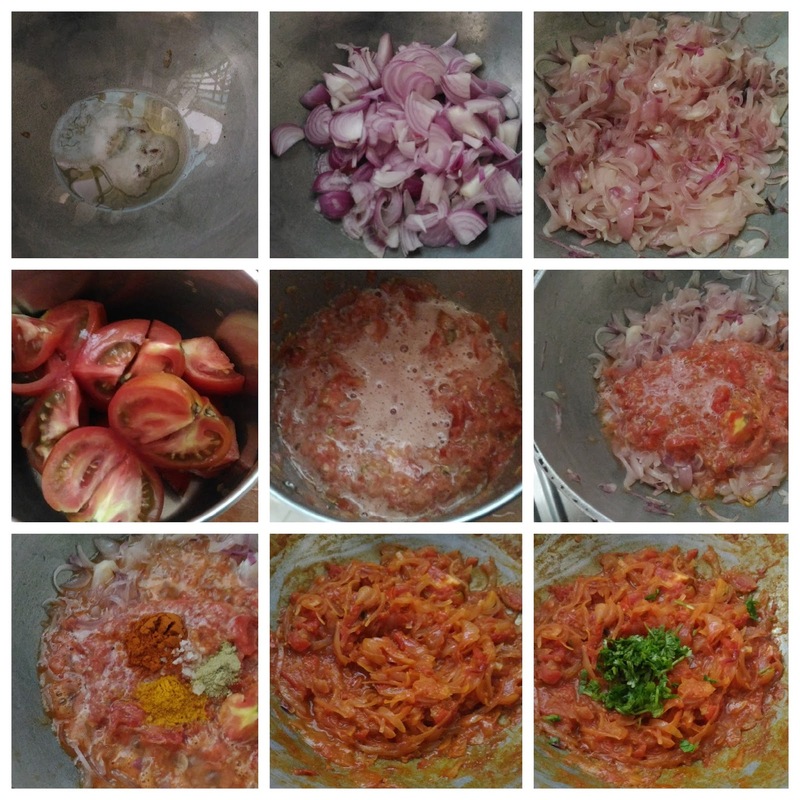 Add ground tomato paste (from 3), red chilli powder, turmeric powder, fennel powder and salt. Mix them well. 7. Close the lid of the pan and cook till the raw smell goes off and also the mixture becomes thick. Keep the flame at low throughout the process. 8. Finally, add the chopped coriander leaves and mix them well. Switch off the flame and transfer to serving bowl. 1. You should not add water. 2. You should not grind the tomatoes into fine paste. 3. Adjust the spice level according to you taste. 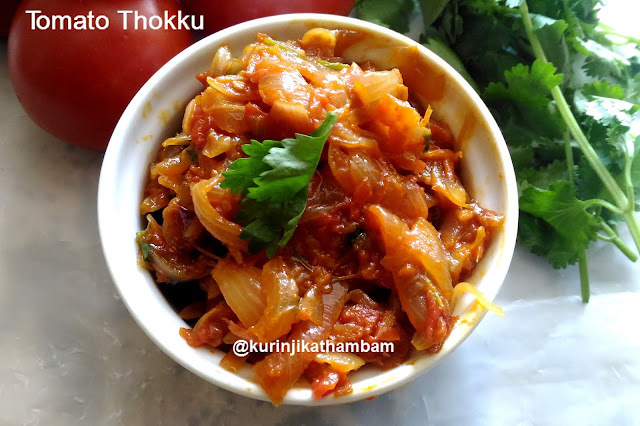 This type of thokku is served as a side dish in Hotel Sarguru Pondicherry in the morning breakfast.